Transplant Genomics (TGI) now has an exclusive license to patent rights co-owned by The Scripps Research Institute and Northwestern University that could form the basis for clinical tests to improve management of organ transplant recipients. TGI is planning to use the technology to develop and commercialize tests that use genomic markers of transplant graft status as part of program to detect and respond to early signs of graft injury in patients. 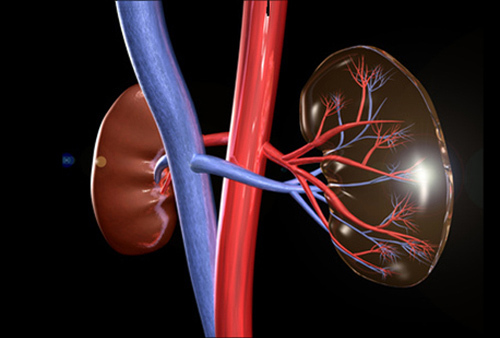 This licensing agreement gives TGI access to intellectual property related to kidney and liver transplant diagnostics including immune status monitoring and optimization. TGI says its first test will be used to monitor kidney transplant recipients, indicating when treatment or biopsy is required based on analysis of a patient’s blood. Michael Abecassis, M.D., founding director and chief clinical advisor of TGI, said in a statement that the tests could be used to watch patients with good kidney function to aid in immunosuppression decisions. “The test will also find a major and immediate application in circumstances where a sudden elevation in creatinine is noted by the clinician and a biopsy is not possible because of logistical issues,” he added. “The scientific founders of TGI have uniquely combined biomarker discovery with clinical validation and insight to set the stage for high-impact collaborations designed to move the transplant field forward,” commented Stanley Rose, Ph.D., president & CEO of Transplant Genomics. Dr. Rose is himself the recipient of a kidney transplant.